Television claims nearly 60 hours every week – a stunning 10 hours a day, on average, per viewer. In contrast, the time spent on caring for others in the household is barely 15 hours per week. All of this has an impact on how well we can concentrate on work that really matters. Things we need to do. Goals we want to achieve. We must learn how to focus. Read “How to Focus” and discover the secret to beat distraction! Condensed into this short, crisp, tightly written guide are little known secrets guaranteed to save you at least 3 hours every day! It may seem unlikely, but studies have proven time and time again, that a well-structured book can transform lives suddenly and dramatically – by focusing on a trigger or pressure point. “How to Focus” by Dr.Mani is one such book. In 49 value-loaded pages, this simple yet powerful guide has the ability to shift your mindset immediately. 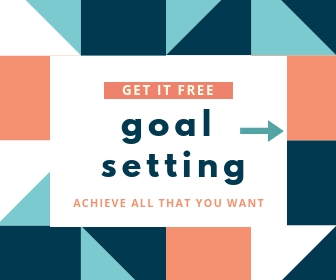 At several different points in the book, you’ll find yourself nodding in agreement as the author takes you through an intriguing journey where you’ll learn how to explore goal setting, beat procrastination, and get things done… all of this through simple, easy to understand analogies. One of many stories that drive home the importance of learning how to focus, tells us about a rich treasure stored in a chest that’s on a high loft. One can only reach the loft by a long ladder. Climbing each step is hard work, and needs tremendous concentration, focus and effort. But even if you have all these skills and successfully reach the top of the ladder, everything is wasted if you miss out on one important step right at the beginning… not checking if your ladder is leaning against the right wall! The graphic power of this simple analogy helps drive home an important point… the need to focus on the right things. If all you’ve done before is to mindlessly strive to complete things on your to-do list without ever critically asking if they are indeed the right things to get done, this startling insight will totally alter the way you approach work in the future. This book will change your style of working completely. You’ll find yourself asking the critical question at the very beginning of any new project, or before taking up a new task. This way you will focus on the most important things – and ignore the fluff and drivel that clutter up your life. The next section of the book teaches you how to take stock and analyze your present situation, in order to plan your strategy and take decisive action to reach your goals. With a simple exercise in “How to Focus” – an easy question-and-answer session that’ll take you just 15 minutes to get through – you’ll have a clear idea of where you stand right now. And this knowledge is crucial to taking the next step… to concentrate on getting things done. Once you’re aware of your circumstances, it is important to know what you need to reach your goals. Going through the steps that you’ll learn in “How to Focus” will help you identify the resources and tools necessary to make a difference, and then go about acquiring them or assembling your team. Your focus needs to be directed to meaningful activity in order that your actions have the biggest impact. Having a plan for your future is the best way to align your purpose and targets with a daily or weekly sequence of activities. “How to Focus” will show you how to visualize where you want to go, and then draw up a blueprint that takes you there in the shortest, quickest, easiest way. Once you’ve hammered together an action plan, it becomes child’s play to simply follow the steps to reach even your biggest, most ambitious goals. The key, then, is to set the right goals, and follow through with focus and concentration. And because there will always be distractions that draw you away from these activities, you must understand the things that influence your focus so that you can master the solutions. That is explained in this guide as well. Through a simple set of probing questions, the author helps you identify areas where you need greater clarity and conviction. Once you become aware of the pitfalls and dangers that have held you back and destroyed your concentration, it becomes easy to steer clear of them and retain your focus on what truly matters. It’s easy to learn how to focus your mind. Minds, like worn out mirrors, can lose their focus. Have you ever conversed with a person who cannot concentrate on any particular topic of discussion for more than a minute? People whose minds are here and there, switching and shifting with time? That person may be a beloved family member, a marriage partner, a darling friend… or maybe even yourself. Inability to focus the mind is quite bothersome. It hampers your ability to listen and understand the feelings of others. It impairs your ability to follow instructions in the workplace. And it diminishes your ability to solve problems and leaves you struggling to finish important tasks. Have you thought of how to focus your mind? Has it bothered you that your hazy, cluttered, overdriven mind needs some salve to turn it back into the razor-sharp, laser focused machine it can be? You need to slow things down, concentrate upon one thought at a time, focus better and improve your memory. With a focused mind, you will gain an advanced perspective of your life, think clearly and with lucidity, and become more creative and effective. Here are some important tips on how to focus your mind. If you have always relaxed your body, taking breaks from tedious duties and exercises, you should now practice the same with your mind. The mind also gets weakened by incessant stress and continuous trains of thought. Whether it is continuous reading, office work, just typing, or any form of constant activity, you should take breaks and rest your mind. Sit in a calm place and become consciously aware of your immediate state of mind. While it is impossible to bring all thought processes to a halt, you can slow things down, as you witness and study your thought patterns. Trying desperately to stop thinking about something will only throw your mind into the state of becoming anxious about how to do this. Instead, just withdraw your active involvement in your thoughts. Step back from them and perceive your mind as becoming one blank canvas or a dark sky from which thoughts can get in and out without sticking. Your brain will experience a perceptible reduction in stress, and you’ll notice a slowing down of your thoughts. When withdrawing from your thoughts proves difficult, try counting your heart beat. Heart beat counting has been practiced even by great meditation experts as a way of discovering inner peace. You must learn how to focus your mind on your own heart beats for a while, and resist any temptation to switch over to other activities. Some people concentrate better when they focus on objects such as the tip of a pen or the flame of a burning candle. Whatever object you use, make sure that your mind can remain fixed on it for long enough. Ensure that your focus is active. Never allow your mind to pay only superficial attention to the immediate task. If it wanders off, repeat the task from the beginning. When you focus on an object or task for long without breaking concentration, your mind gets trained to remain still. This allows you to effectively finish obligatory tasks. However, the mind will not remain still if your body keeps on moving. It is not uncommon for people to show lack of concentration during big events or when major issues are looming in their lives. In movie theaters and in classrooms, they keep moving their body, or wriggling on the seat, sniffing and sighing, moving their head or limbs restlessly. A tranquil body posture helps achieve a tranquil mental state. As you learn how to focus your mind, make sure that you find a comfortable position from where your body can remain still for longer. Then, you can conveniently concentrate on the task, removing your attention from physical distractions. In a comfortable body position you will fidget less and find mental exertion easy. But your mind will not concentrate easily if you subject it to boring tasks. Take up familiar and interesting hobbies, or find new hobbies that are challenging but motivating. If the chore is dull, concentrate on only the parts that are most exciting. Opening your mind to new challenges is part of your progress in learning how to focus your mind. Like your body, which benefits greatly from stamina, strength and flexibility training from physical routines, your mind also will need fresh challenges and departures from routine to become stronger and more focused. Try to look at familiar objects creatively, from new angles. Read new magazines and listen to unconventional genres of music. Use these tips to learn how to focus your mind and to ignite the fire of your mind in every aspect of life with your improved memory and concentration. Some people want to learn how to focus on homework. Here are a few powerful tips. First, find a quiet place where you won’t be disturbed and then clean your desk or find some table space and also a comfortable chair. Have all that you need close to hand. Bring in a drink and a snack so you won’t have any reason to leave the room until you have finished your homework. It may be best to leave a window open so that you can have some fresh air which will clear your mind and help you to concentrate better. A hot, stuffy dorm isn’t conducive to concentration. Sit comfortably and lay your homework out. Make a list of what you have to do, starting from the hardest to the easiest tasks. Dealing with tough work first is less tiring as your energy flags. If you start on the hardest then this takes care of the worst part of the homework, making it a lot easier as you work down the list to the easiest bit. That’s how to focus on homework like the most effective students! Set yourself a time limit and force yourself to do your homework within that time. If you give yourself a reasonable and fixed amount of time to do it in with no distractions, then you will be able to learn how to focus on your homework better. Turn off anything that isn’t related to your homework, like the TV, computer, music and other distractions. Just concentrate on what you have to do. Remember why you are doing your homework. When you keep in mind the fact that it is so that you’ll have a good living when you pass your exams, your mind will find it easier to stay focused. How to focus on homework can be easy – if you choose to make it so. There is nothing worse than dreading doing something. Allow yourself a treat when you have finished, such as a bar of chocolate or a film or time to read a good book. Reward yourself when you have done your homework. That way it will seem easier and you will have something to look forward to when it is completed. If you get stuck or have a block and just can’t do your homework, then it may be best to walk away for a little while and have a break. You could take half an hour off and go for a walk, do some exercise or chat with a friend. Anything to distract you, and then go back to your homework a little later with your mind fresh and clear. There are many tips for when you want to know how to focus on homework and the above are just a few simple guidelines. As long as you get your homework done on time and don’t get too stressed by it, you should be able to finish it easily. Never let your homework stress you out. Ask for help if you need it. Take things slowly but surely. Believe that you can do it and you will. Have a nice view of something while you do your homework, as this helps to make you relax. Homework is a necessary part of school life and everybody has to do it. Don’t worry or think too much about it. Just get it done. And always try to do your best. Keep telling yourself that this is for your future and that at the end of it all you will have a good career to look forward to. That’s how to focus on homework. There’s a lot more to learn about how to focus, beat procrastination and get things done. Even after you finish school or college and no longer have homework to do, it is still a vital life skill to be able to focus on what you’re doing until you complete the task. Ever wanted to know how to focus on studying? Here are the 8 Do’s and 5 Dont’s of How To Focus As a Student! Studying for a test or an exam can be very stressful. Most students find it very difficult to learn how to focus on finishing any task around this time, and this can be frustrating. There are several simple steps that you can follow to be able to focus on studying. You must find an environment that will be perfect for studying. The place must be quiet, comfortable, and should be without distractions like television or cell phones. A library is arguably the best place to study because it is quiet and will have few distractions. It is important that you come to your study area well prepared, because you don’t want to get distracted in the middle of your study session. Bring along things like pens and pencils, rulers and high-liners. Don’t keep getting up and going out for them mid-way through your studying. A great way to study better is to have a study partner. Find someone that is as focused as you and is sensible. Choosing your best friend can be a mistake, though, because you might end up talking and becoming distracted. In fact, if you’re an extrovert, having a study partner may not be a great idea anyway. Always carry healthy snacks with you because they will give you an energy boost and help you stay focused. Avoid caffeine and junk food at all cost, because they will lead to an instant surge followed by a big crash in energy. It is very important that you take breaks in between sessions. These must be about 10 minutes long, and taken every 30 to 45 minutes. A good way to schedule your breaks is to use an alarm clock to ensure that you don’t miss them. It is crucial that you are motivated for your exam and don’t make it into a big deal. Prepare well and make sure your mind is calm and clear. Set small goals and then push yourself to keep reaching them. You’ll eventually master how to focus better at studying. The last thing that you need to do is sit down and just get started. Getting caught up in the preparation without actually putting in the actual work won’t get you far. Using flash cards is a great way to help yourself memorize information. Another good way to memorize study material is to turn it into a song. This method is called a Mnemonic Tool. Take it step by step, and then move on to the next chapter of your material. How to focus on homework? Stop worrying about it! This is very important because when you panic, you will not be able to concentrate. Take a deep breath and then reassure yourself that you can achieve what you set out to do. When trying to learn how to focus on studying, you simply can’t afford to panic. The online world can be very addictive and will waste your time. Get off the internet and your cell phone, and magically you will get more things done. Though it is true that some people need to listen to music while studying, for many this is a distraction when your mind needs to focus on studies. Try your best to avoid music that has words, because this will make your mind focus on what the song is saying and draw your attention away from your course material. This is very common but you need to be aware of it and catch yourself when you do it. Even if the information is boring, try your very best to be interested because it will be worth it in the end. You can always break it up into smaller pieces and will be able to understand the details better. Don’t be discouraged. Just stay patient. If you are in the process of trying to learn how to focus on studying, then these are the do’s and don’ts that you must remember. They will give you a good, solid base for studying and you will then be able to begin with a clear mind. Stay focused and you will definitely be happy that you did. In a powerful new guide called “How to Focus”, you’ll get more insights about how to focus on studying. Pick up your copy from the official website, and see how you can beat procrastination, improve concentration and get things done. There are many books that teach you how to focus. And there are any number of gurus and coaches who can instruct you on the basics of drawing up a to-do list, attacking it with gusto, and accomplishing a few tasks. “How To Focus” is not a casual “feel good” tutorial. It is a simple series of steps to follow if you want to beat procrastination, develop extreme concentration, and get things done. Click here to read “How To Focus” now*I have only recently started using the process, but already have enjoyed improved focus and am able to accomplish far more than before by putting these simple principles to work. You’ll enjoy the same advantages too. As other readers who have used these concepts attest, this is a book you must read if you’re serious about learning how to develop better focus and get things done. For those looking to develop better concentration, and especially for people who find it hard to stay focused and get easily distracted, this book will transform your life and help you become more productive. Is “How To Focus” Worth The Price? That’s hard to say. Only you can decide if it’s worth it – for you. There’s one nice thing about this offer, though. You won’t be taking any risk. Dr.Mani offers an unconditional 100% money-back refund guarantee on “How To Focus” in case you are not completely happy with what you get. So rather than trying to decide whether or not it’s right for you, think about what the value of this book might be in your future… and if it makes sense, try it out risk-free under the guarantee. Try “How To Focus” for yourself from the official website..
For more help on how to focus better, read Dr.Mani’s new book, “Knife At A Gunfight” – learn more here.